The list of household names on our SAP BusinessObjects clients list speaks for itself. And let’s not forget our record with public sector organisations and SMEs. But still we aim to spread the benefits of BusinessObjects even further. 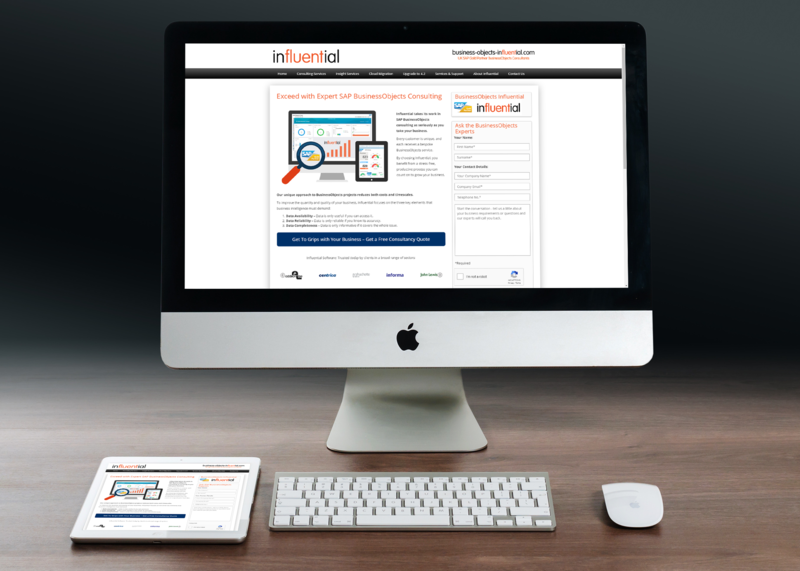 To that end, Influential Software has launched a brand new BusinessObjects consultancy website. The innovative power of this tool is far from over, and our SAP BusinessObjects consultancy site offers businesses the opportunity to catch it on the wing. At Influential Software, we know that clients know their businesses best. That’s why the BusinessObjects consultancy team works closely with you to ensure that our roadmap matches your unique requirements. Once your trio of goals, initiatives, and key performance indicators have been defined, we move on to draw your personalised BO roadmap. Our team has extensive experience of end-of-life migrations and moves from previous versions of BusinessObjects. Our sensitive approach stands apart from the one-size-fits-all model of BusinessObjects cloud migration. Whether you want to recreate legacy architecture in the cloud or build a semantic layer for easier user interaction, Influential Software has the knowledge to migrate your business to the cloud. However many dashboards and reports you have, they are just a means to an end: actionable, accurate insights. That’s why our team emphasises custom reports for each business, also training your teams to utilise the full capabilities of BusinessObjects. Find out how with our BusinessObjects insights services. When considering a BusinessObjects upgrade, businesses should be certain that the provider is SAP-certified. Influential Software holds SAP’s Partner Centre of Expertise (PCoE) Certification, as well as a long list of SAP consultancy, solutions, and support certificates. Upgrading to BusinessObjects 4.2 means faster and more capable Business Intelligence. The result is smarter decisions and a healthier bottom line. While the release of BO 4.3 won’t be launched until Q4 2019 at the earliest, SAP is providing regular service packs for Upgrading to BusinessObjects 4.2. Each business is unique, so why should you all have the same BusinessObjects licence? Influential Software is an experienced provider of licences for both large enterprises and SMEs. With our SAP Gold Partner status, you can rest assured that your licencing needs are in safe hands. From courses and workshops to manuals and certifications, Influential Software will provide whatever BusinessObjects training you require, wherever you need it. What’s more, our training is significantly discounted from SAP’s in-house courses. It’s just the start for the SAP BusinessObjects consultancy team. Over the coming months, we’ll be adding even more information about BusinessObjects and our SAP services. Look out for news of our ongoing success with testimonials and client case-studies.